As troublemaker Lula’s home life spills into school, Tom tries to get to the root of her disruptive behaviour. A desperate Connor tries to out Christine’s drinking, Josh helps Tariq face up to his disabilities and Grantly deals with a spate of graffiti at the school house. Lula Tsibi’s homelife is far from happy. Distressed following another heated argument with her overbearing Uncle Lionel, Lulu runs to the sanctuary of her school - but her behaviour irks the other pupils and gives the teachers cause for concern. Matters come to a head at Denzil’s commemorative ceremony when Lula lashes out at Imogen and Sian. Far from being apologetic, Lula makes some unsettling comments about death. And later, she has a run in with Tariq, hurtfully suggesting his disability is a punishment from God. Tom speaks to Lula’s uncle Lionel. But when Lula hears this she tells Tom that her uncle plans to perform an exorcism on her, as he believes she is possessed. Terrified, she begs Tom to help her. Elsewhere Connor bugs his mother to lay off the alcohol but is met with Christine’s usual hostility. Playing up in class, Connor attempts to shame Christine - but it backfires and he’s humiliated in front of his classmates. Concerned, Imogen tells Connor he can’t look after his mother forever - advice which spurs Connor to take drastic action. Grantly is furious when his car is vandalised by Havelock kids but Michael wants to keep the peace and not involve the police. But while Michael attempts to build bridges with rival headteacher Gerard Findlay, Grantly can’t help but rock the boat. 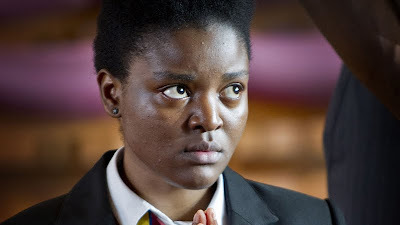 Josh tries to convince Tariq that life is worth living, but Tariq isn’t interested and Sian receives an unexpected visitor at the gates of Waterloo Road. Lula is played by Marlene Madenge, Tom by Jason Done, Connor by Shane O’Meara, Christine by Laurie Brett, Josh by William Rush, Tariq by Naveed Choudhry, Grantly by Philip Martin Brown, Uncle Lionel by Cornell S John, Imogen by Kirstie Steele, Sian by Jaye Jacobs, Michael by Alec Newman and Gerard Findlay by Alex Norton. Warren Brown (Luther, Occupation) stars in the lead role of Stephen Butchard's (Five Daughters, House of Saddam), Good Cop, a new four-part drama series made by BBC Drama Production North. It starts as an ordinary day, but while out running on Crosby beach, beat cop PC John Paul Rocksavage (Sav) bumps into his ex-girlfriend Cassandra and their daughter Libby. Sav catches a glimpse of the family he could have had, but Cassie isn’t interested in a reunion. Later that day Sav is having lunch with his best friend and colleague Andy Stockwell when he witnesses a gang of men mistreating a waitress. Sav intervenes and finds himself face to face with a very unpleasant Finch, who threatens to attack the next copper he sees. Their shift starts and Sav and Andy attend what seems like another regular call out: neighbours have complained about the noise at a house party. But when they arrive at the house, Finch and the gang from the diner are waiting. As Sav tries to get in from the back, Andy manages to get in through the front where the gang launch a brutal assault on him. They escape, leaving Sav tending to a badly beaten Andy. That night, haunted by images of Finch, Sav returns to the scene of Andy’s beating hoping to make sense of it all and finds a loaded gun concealed under a loose floorboard. At that moment Finch returns, but Sav stands his ground and makes a split second decision that changes the course of his life and career. 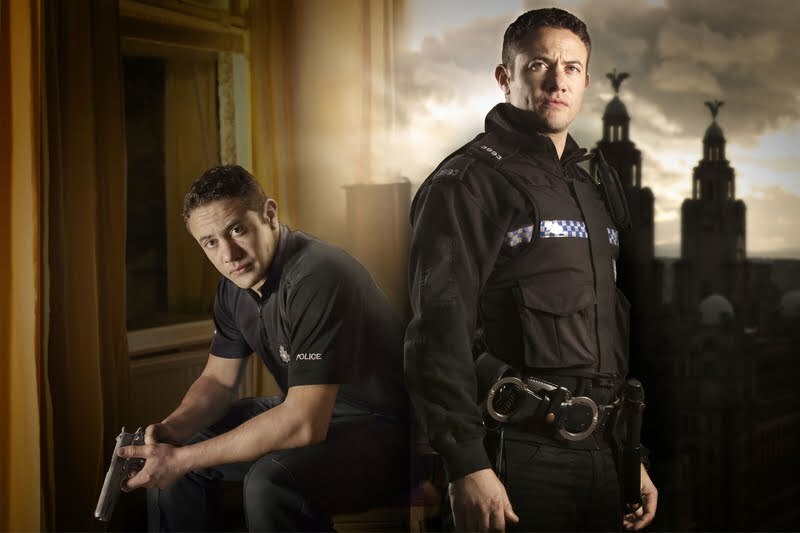 Warren Brown plays PC John Paul Rocksavage, Michael Angelis plays Robert Rocksavage, Aisling Loftus plays Cassandra, Tom Hopper plays Andy Stockwell, Stephen Graham plays Noel Finch, Stephen Walters plays Callum Rose, Joe Macaulay plays Jonjo Heinz, Jodie Comer plays Amy, Johann Myers plays Gary Walton, Carl Rice plays Philip Davenport, Kerrie Hayes plays WPC Amanda Morgan, Kevin Harvey plays Sergeant Middleton, Robbie Jarvis plays DCI Stoddart, Christine Tremarco plays Nurse Justine, Mark Womack plays DCI Costello, Philip Hill Pearson plays DC Liam Frainey and Shaun Mason plays Kyle Smart.